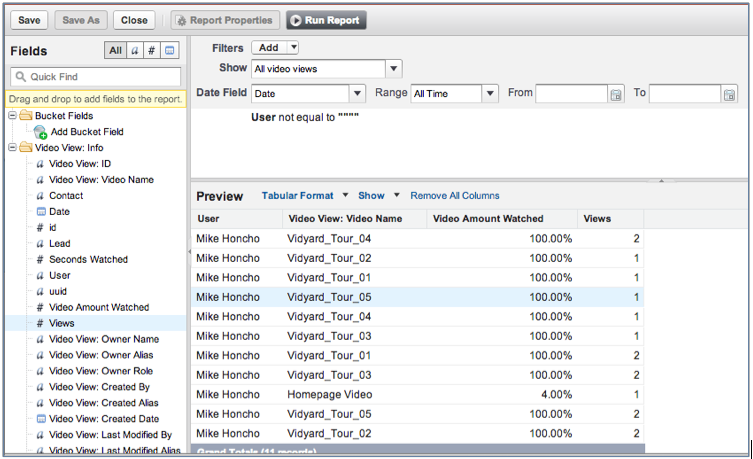 By creating your own custom reporting, you can create associations between video views and other objects in Salesforce. 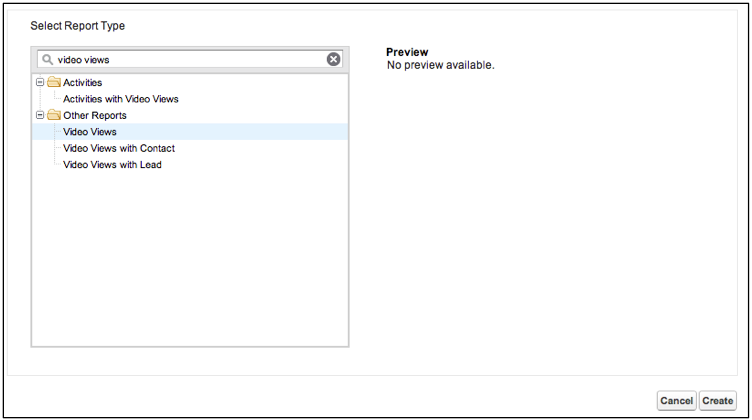 The following steps show how your Salesforce administrator can use the Video Views custom object to create reports in Salesforce. In this example, a report is created that will show how to create a report detailing the video view data for internal Salesforce users. In Quick Find, search for and select Video Views. In the Show field, select "All video views".